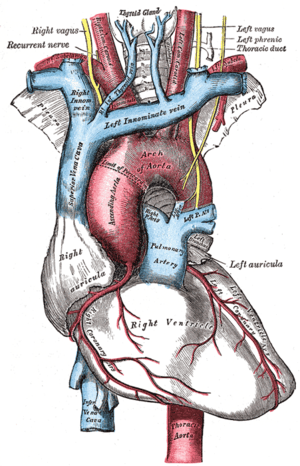 These great vessels merge to form the superior vena cava posterior to the junction of the first costal cartilage with the manubrium sternum. 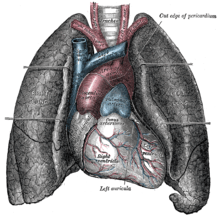 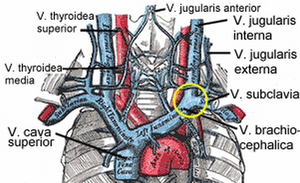 The brachiocephalic veins are the major veins returning blood to the superior vena cava. 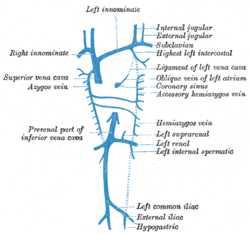 The left brachiocephalic vein forms from the anastomosis formed between the left and right anterior cardinal veins when the caudal portion of the left anterior cardinal vein degenerates. 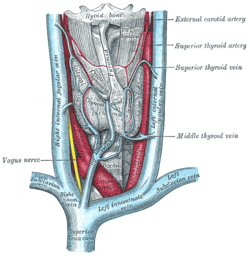 The fascia and middle thyroid veins. 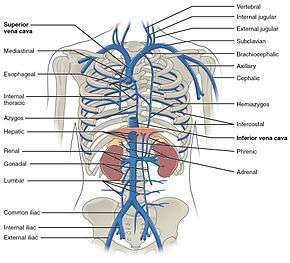 The brachiocephalic veins, superior vena cava, inferior vena cava, azygos vein and their tributaries. 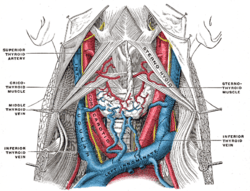 ↑ Ryan, McNicholas & Eustace "Anatomy for Diagnostic Imaging: 3rd Edition"